If you really love the beach, ancient and history of Vietnam, The Central must be the best place for you to visit, from Hue, Da Nang to Hoi An. The beaches are all incredible interleave with ancient town, old citadel, and the battlefields will bring you amazing experience about these lands. Da Nang keep an important role in the region, where the reception service, and transit passengers. Normally, when you head to central of Vietnam, you will in and out from Da Nang. This city is famous with beautiful china beach with green water, white sand. Out of the beach you have plenty places to visit such as Bana hills, amazing Cham museum, marble mountain, Monkey Mountain, etc. People here is trustworthy and meek, and you will have a lot of choice for dinking and eating out with cheap and delicious foods. If you come here in the april 30 th , You will have a chance to see the incredible firework shooting over the Da Nang’s sky. This is the annual international firework contest. 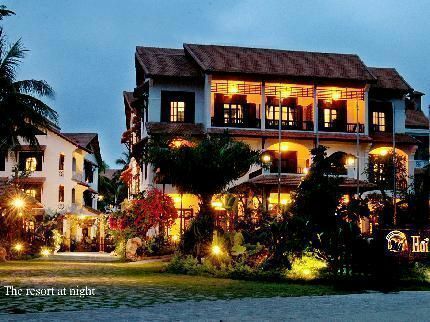 Hoi an is about 30 km south of Da Nang, lies on the banks of the Thu Bon River. This ancient town was accredited asthe world cultural heritage. Travelers can visit the relics of the Sa Huynh and Cham cultures. They can also enjoy the beautiful scenery of the romantic Hoi an River, Cua Dai Beach, and Cham Island and visit traditional Villages or experience home stay. Hoi An Relics including the temples, ancient houses, meeting house, museums, churches … most of them was built in the 17th to 19th century. The designs and interior decoration preserved ancient style of the Vietnamese, also influenced by Japanese and Chinese and European styles. In addition to the tangible heritage, Hoi an community conserved the ancient life such as cultural practices, customs, beliefs, rituals, cuisine … Walking along the town in the early morning in quiet streets watch people start preparing new day with no electric lights and surrounded by dozen of sellers and buyers or walking in the evening around every corner of the ancient and purity town are both a nice experience that you seem to losing your way to the antiquated world. 90 km north of Da Nang is Hue – the old Citadel of Vietnam with a lot of temples, pagodas and tombs of the kings of many dynasties, especially the Nguyen dynasty. 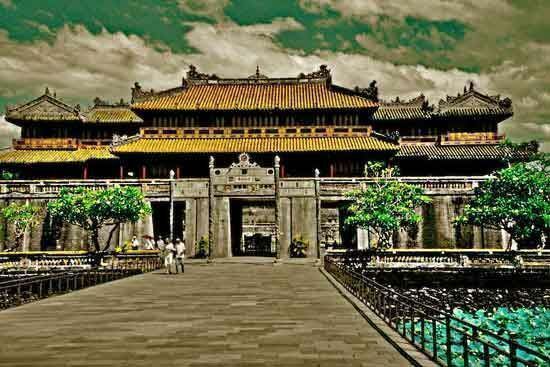 Hue’s featured byhistoric, political, cultural and religious. From Hue you can take a day trip toDMZ – Visit the old battle field between Vietnamese and America. Besides that, You also can take a bus to Dong Hoi, visit Phong Nha – Ke Bang National Park to explore the caves – These caves here is the best beautiful than any others in Vietnam. Not just these features, Beach and river in Hue is really beautiful and romantic. This is a peace land for people to relax and enjoy the quiet life. The people here are gently, elegant with the sweet voice and loving appearance. At the moment, Hue is a must see place in Central Vietnam. This is a beautiful, vibrant city, with great places to stay, great food, and a number of interesting things to do, on and off the well-worn tourist trail of historic attractions.